The Cottage Grove Acorn Mini Storage provides home and business owners with a great variety of storage options, including temperature-controlled storage units. 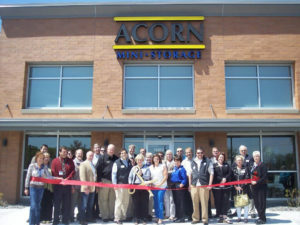 One of the only facilities offering this feature in the Cottage Grove-Woodbury-Hastings area, this Acorn location ensures that its customers find the best solution for their particular storage needs. Manager Jessica Krans, who just joined the Cottage Grove location from Acorn in Maplewood, stresses the value of choosing the right units for each client. For example, Jessica knows that leather upholstery and fine furniture, electronics, photographs, and legal and tax documents are best preserved where temperature and humidity swings are kept to a minimum. 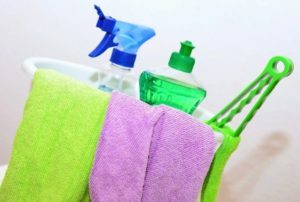 Outdoor furniture and many garden tools can be maintained in a unit without temperature control. Jessica works individually with each new client to find both the size and type of unit that’s the perfect fit for year-round storage. Cottage Grove also hosts contractors, electricians, and plumbers who use the facility as the hub of their business. 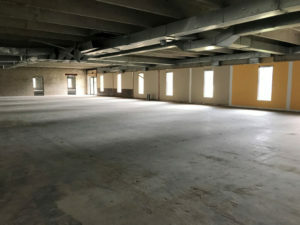 They keep their tools and supplies in storage units, and can arrange to have packages delivered for them right to the Acorn office for no extra charge. Many also rent an easily accessible parking unit for their trucks and trailers. Juggling projects and jobs that can demand around-the-clock work, these professionals appreciate the security and ease of accessing their units at any time, day or night, 365 days a year. The Cottage Grove facility features open-garage, ground-level parking units for cars, boats, RVs, commercial trucks—including, in the past, a Minnesota Vikings tailgating truck. 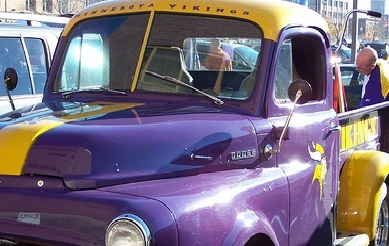 A converted ambulance, the Purple Pride masterpiece featured a purple and gold paint job adorned with Vikings logos and, of course, a keg tap on the side for easy pre-game pouring. Jessica makes sure that her clients know about the added values available to Acorn customers. New customers receive a free safe and secure lock, which is much more durable and heavy duty than any lock you can buy at your local hardware store. Most new customers qualify for a free* moving truck they can reserve for use when they move into their space. And the facility is constantly collecting extra pallets to have ready for any clients who need items elevated in their storage units. Whether you run your own business or manage a busy household, give Jessica a call at 651-459-0016 to find out how the Cottage Grove Acorn Mini Storage location can help you solve your storage problems today. *Ask the manager if you qualify for this special offer.